Coal minister said that transparent e-auction of 32 coal blocks has fetched revenue of Rs 2.07 lakh cr, which is far in excess of CAG loss estimate of Rs 1.86 lakh cr. Proceeds from the ongoing coal auction crossed the Rs 2 lakh-crore mark on Monday after two more mines went under the hammer. The number surpassed the Comptroller and Auditor General's (CAG) estimate of Rs 1.86 lakh crore lost due to allocation of mines without auction during the previous regimes. 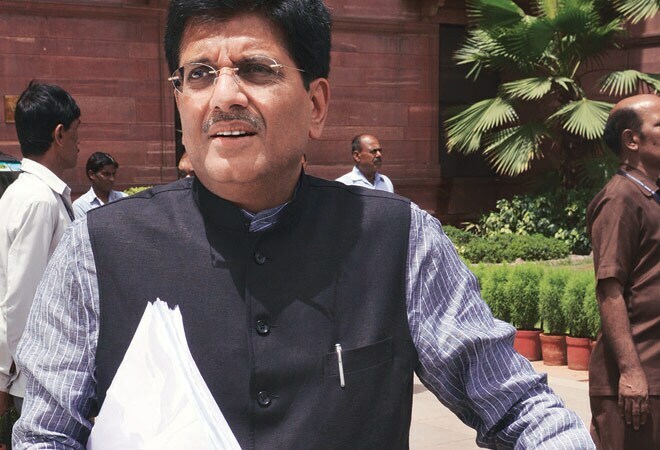 Coal and power minister Piyush Goyal said that the "transparent e-auction of 32 coal blocks, out of 204 cancelled mines, has already yielded potential e-auction revenues, royalties and upfront payments of Rs 2.07 lakh crore, which is far in excess of CAG loss estimate of Rs 1.86 lakh crore". Earlier, coal secretary Anil Swarup had said, "Likely proceeds from coal block auctions (may) cross Rs 2 lakh crore. These include e-auction proceeds, royalty proceeds and upfront payment." On the fifth day of the second tranche of auctions, Utkal C mine in Odisha and Lohari in Jharkhand were estimated to have fetched more than Rs 11,000 crore. The cumulative kitty of more than Rs 2 lakh crore includes Rs 1 lakh crore-plus from sale of 19 mines in the first tranche. The auction of Utkal C mine, for power sector, fetched an estimated Rs 9,537.22 crore. It was won by Monnet Power Company earlier in the day at a bid price of Rs 770 per tonne. Bidding for Lohari block, in Palamu district of Jharkhand, was continuing till late in night and could fetch more than Rs 1,800 crore as per the latest bids. Complementing Prime Minister Narendra Modi for the ongoing auction, Goyal also said that the auctions would benefit 125 crore Indians with lower cost of power. Besides, coal-bearing states like Odisha, West Bengal, Jharkhand, Chhattisgarh, Madhya Pradesh and Maharashtra will earn lakhs of crores of additional revenue. "The power fuel cost would come down by Rs 96,971 crores resulting in power tariff savings for consumers", he added. Prime Minister Narendra Modi had said earlier this month that CAG's estimate had raised some doubts initially, but the auction of less than 10 per cent of those mines (19 mines in first tranche) alone has brought in Rs 1.10 lakh crore. The allotment of over 200 coal mines was cancelled following a Supreme Court order, which led to the government announcing the ongoing auction.